Interest in the captive maintenance of reptiles has boomed over the last ten years. With this boom in interest is a surge in the number of burgeoning reptile hobbyists. There are many, many choices a hobbyists may choose from when selecting a species to purchase, but which species are the easiest to work with? Many parents have children that desire to have a reptile as a pet, but with so many choices on the market, which are appropriate for children to maintain (with parental supervision) and which are not? There are many misconceptions abounding in the reptile market toady about which reptiles are easiest to maintain in captivity. .
What Makes A Good Reptile For Beginners? There are several factors that contribute to the suitability of a reptile species for the beginning hobbyist. The first is ease of maintenance. All reptiles require attentive care, but some species are easier to maintain than others. The easier to maintain species are tolerant of a wide variety of environmental conditions, and are naturally hardy. Other important factors to consider are size, the easiest reptiles to care for are small or moderately sized species. Docility is important if one desires to handle the animal on a limited basis. No reptile likes to handled excessively, but some are much more tolerant of handling than others. This seems to be a particular issue with reptile pets for younger children, as they have a tendency to handle animals excessively if not monitored. Feeding vigor is important in beginning reptile species, the easiest species are the most voracious feeders. Price is often an issue, although some of the least expensive reptile species on the market are also the least suitable for beginning reptile hobbyists, such as the green iguana (iguana iguana). Overall, the most suitable reptile species for beginners are moderately sized and priced, captive born, tolerate a wide variety of environmental conditions, tolerate some handling, are voracious feeders, and for the beginning herpetoculturist, are easy to breed. Corn snakes are one of the most available snakes in the pet trade today. Vast numbers of corn snakes are captive bred annually, and are justifiably one of the most popular snakes of all time. Corn snakes are relatively small, rarely exceeding five feet in length, active feeders, tolerate a wide variety of environmental conditions, come in a dazzling array of color morphs, and are very easy to breed. All of these factors combined make the corn snake an excellent choice for both the beginning and advanced reptile hobbyist. Corn snakes are relatively small, a baby corn snake can be housed in an enclosure the size of a 10 gallon aquarium, and an adult would fare well in an enclosure the size of a standard 20 gallon long aquarium. The enclosure must have a secure top, corn snakes are expert escape artists. The temperature should be maintained at 70-75 degrees F on the cool end and 82-86 degrees F on the warm end. Hiding spots should be included in the enclosure on both the warm end and the cool end. Suitable substrates to use for corn snake housing include newspaper, reptile bark (not cedar), paper towels, and Astroturf. Corn snakes are voracious feeders, and can be fed an appropriately sized mouse once a week. Clean water should be available in a stout dish at all times. Corn snakes are usually very docile and tolerate handling well, although take care not to handle the animal excessively or after the animal has eaten. The leopard gecko is one of the most common lizard species available today. There are many commercial breeders that produce this species by the thousands. This species can be found in almost every reptile pet store in the United States, and is always available at reptile shows. This species may be the most ideal captive reptile for several reasons. Leopard geckos are small, a pair can be easily accommodated in a 15 gallon aquarium. Leopard geckos tolerate handling very well, and as such make one the best choices for a child's first reptile pet (with adult supervision). Leopard geckos should be maintained with a cool end temperature of 75-80 degrees F and a warm end temperature of 85-90 degrees F. Leopard geckos are nocturnal, so they do not require full spectrum lighting. Suitable substrates for leopard geckos enclosures include playground sand, newspaper, peat moss, or paper towels. It is important to provided hiding areas in both temperate ranges of the enclosure. Leopard geckos also require one area that has high humidity so they may properly shed their skin. The easiest way to provide for this is to either moisten an area of substrate under a hiding area, or offer a plastic container with moist substrate inside it, large enough for the animal to fit its body completely inside. Plastic shoeboxes with an access hole cut in the side or top work very well as humidity sites for leopard geckos. Leopard geckos are insectivorous, and the staple of their diet should be domestic crickets. Other food items to offer include mealworms, waxworms, grasshoppers (collected from a pesticide-free area), and pinky mice. Baby leopard geckos should be fed 3-5 small crickets every day, and adults can be fed 10-15 insects 3 or 4 times a week. At every other feeding, the insects should be coated in a high quality reptile calcium supplement to prevent dietary disorders. A shallow dish of water should be available at all times. Leopard geckos are generally very reasonable priced. Bearded dragon captive care is a little more involved than the captive care of the two previous species, but their docile nature and tolerance to handling makes this species worth the extra effort for the beginner. Bearded dragons require more room than corn snakes or leopard geckos, but can still be easily accommodated in any home or apartment. An adult bearded dragon should be housed in a enclosure the size of a 45 gallon aquarium. This species requires full spectrum lighting that emits UVB (290-315 nm) in order to synthesize vitamin D3. Vitamin D3 is helpful for the absorption of dietary calcium, and animals left without access to UVB and dietary supplementation often develop a dietary calcium deficiency. Bearded dragons should also be provided with a temperature range of 75-80 degree F on the cool end, and 90-98 degrees on the warm end. Basking lamps are one of the best ways of providing bearded dragons with heat, as they are intense baskers. A branch should be laterally placed under the basking lite to provide an area of the required warm end temperature. Bearded dragons will also utilize hiding areas, so these may be included in the enclosure as well. Different substrates to use for bearded dragon enclosures include alfalfa pellets, newspaper, and playground sand. Bearded dragons are omnivorous, consuming both animal and plant material. Baby bearded dragons should be offered small insects and a small dish of finely chopped greens on a daily basis, they are fast growers and voracious eaters. Adults can be fed every other day. As with leopard geckos, the stable insect is the domestic cricket, but other insects such as mealworms, waxworms, grasshopper, pill bugs, and nightcrawlers should be added occasionally for variety. Adult bearded dragons will consume pinky mice as well, although do not offer these more than a few times a month. Baby bearded dragons must not be fed insects that are too large, generally insects smaller than the head of the animal are safe to consume. Feeding larger insects to baby bearded dragons can result in hind limb paralysis and intestinal impaction. Plant matter should be included in the diet. A small mixed salad of high calcium greens such as collard, mustard, dandelion, hibiscus leaves, watercress, and endive should be mixed with chopped or grated fruits and vegetables such as carrot, winter squash , pumpkin, crook-neck squash, and zucchini. Bearded dragons get most of their moisture requirements from the plant material, but should still have a clean water dish available at all times. Misting the animals lightly once or twice a day may also prompt them to drink, especially baby beardeds. Bearded dragons are currently on the market in huge numbers, and as with the leopard gecko, the price is very reasonable (although the proper set-up will cost more than the animal). California kingsnakes have all the advantages of a corn snake for the beginner, they are docile, hardy, easy to breed, moderately sized and priced, and come in a variety of beautiful color morphs. Captive care for this species is very similar to the captive care of corn snakes. An adult California kingsnake can be housed in a standard 20 gallon long aquarium with a secure screen top. The cool end temperature should be 70-75 degrees F and the warm end temperature of 82-86 degrees F. As with corn snakes, there should be hiding spots on both thermal extremes of the cage. California kingsnakes are generally voracious eaters, rarely refusing a meal. This species does consume other snakes as part of its natural diet, so do not house California kingsnakes with other snake species. Provide a small dish of clean water at all times. Blue-tongued skinks are more expensive than the other species listed here, but they are generally not too unreasonably priced. Blue-tongues are excellent beginning reptile pets, although their care requirements are on par in difficulty with those of the bearded dragon. The minimum dimensions of an adult blue-tongue enclosure should be 3 x 2 x 1 feet. Standard 30 gallon breeder aquariums are adequate to house one adult animal. Blue-tongues are terrestrial and like to burrow, they should be provided with a substrate that allows them to construct their own hiding areas. Aspen bedding or reptile bark mixed with peat moss are suitable substrates for blue-tongues. A cool end temperature of 75-80 degrees F and a hot spot of 85-90 degrees F should be provided so the animal may thermoregulate. Do not allow the temperature to drop below 65 degrees F at night. Full spectrum lighting that emits UVB should be included in the enclosure. A large, shallow dish of clean water should be available at all times. Blue-tongues like it dry, so make sure to place the water dish on the cool end of the enclosure to minimize evaporation and humidity buildup. This species, like the bearded dragon, is omnivorous. Many people feed blue-tongues high quality low fat dog or cat food mixed with fruits and vegetables such as green beans, squash, collard greens, mustard greens, carrots, peas, papaya, kiwi, melon, and zucchini. The diet should be as varied as possible. Many blue-tongues also relish mealworms and crickets. Baby blue-tongues should be fed four times a week, and have calcium supplementation twice a week. Adults should be fed once or twice a week with calcium supplementation at every other feeding. The natural docility of this animal makes it very tolerant of handling, some specimens can become "dog tame". Blue-tongue skinks are medium sized lizards, are very docile, and hardy. If you are willing to spend a little more money on the animal itself, blue-tongued skinks can make a wonderful first time reptile pet. 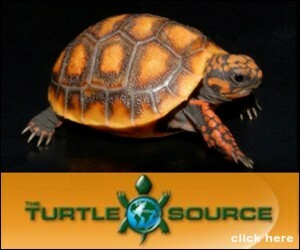 Beginning hobbyists are faced with many commonly available choices for their first reptile pet. It is important to educate yourself about the needs of any reptile before bringing it home, even it has been billed as an "easy to care for pet". Reptiles as a group are much more demanding in their environmental and dietary requirements than other types of pets. Many people (especially parents of a reptile obsessed child) do not fully understand what they are getting themselves into when they purchase a $10 iguana or a $5 anole, and as such their first experience with the hobby of reptile keeping can be very negative. It is important to inform new hobbyists of their best choices, a positive experience with reptile keeping can entice the entire family into a wonderfully satisfying and educational hobby.